Organisers have announced that next month’s Independent Label Market will highlight labels run and founded by women. Set to take place at Berwick Street Market in Soho, where ILM was first launched in 2011, the event will host labels such as Brownswood (co-founded by Emily Moxon), O Genesis and H/O/D Records (both co-founded by Nik Void) and Soundway (managed by Alice Whittington). "We are delighted to be returning to Soho, this time bringing together some of the most inspirational women in the industry for the very first all-female Independent Label Market," says ILM co-founder Katie Riding. "As the music industry embraces streaming and a more digital strategy, Independent Label Market is proving to be a valuable reminder of how music retail can be a social affair - people hanging out together as a community and buying records." 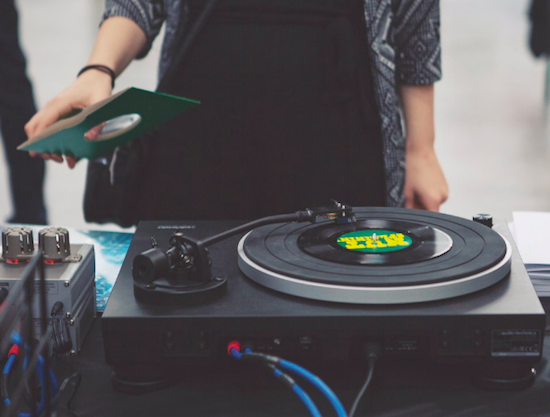 The next Independent Label Market takes place on June 16. More details here.